Original watercolor ready to display on your table for a unique beach cottage look. Cape Cod’s Highland Light watercolor suspended over a starfish base. A great way to display this original seascape painting. There are 3 different display bases to choose from: the starfish, the round seashell and coming next is the driftwood base. 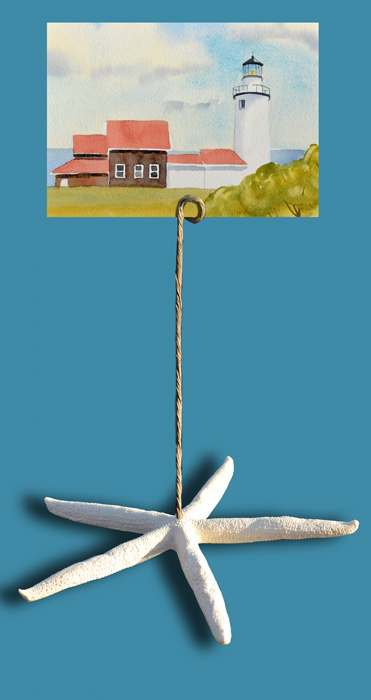 In my previous post is the round seashell base with this same cape cod lighthouse watercolor. This base is a 8 inch wide starfish as you can see in this closeup view of the display base. These are priced at $65. and makes a great gift. To order go to beachcottageart.com for purchasing and shipping info. 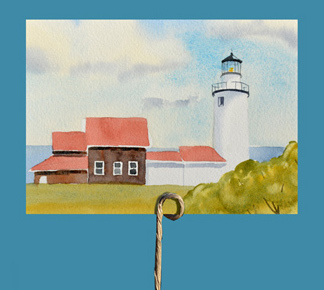 This is a closeup of the 5″ by 7″ watercolor of the Highland Light. Paintings slide in the wire holder easily so they can be changed to a new painting at any time. 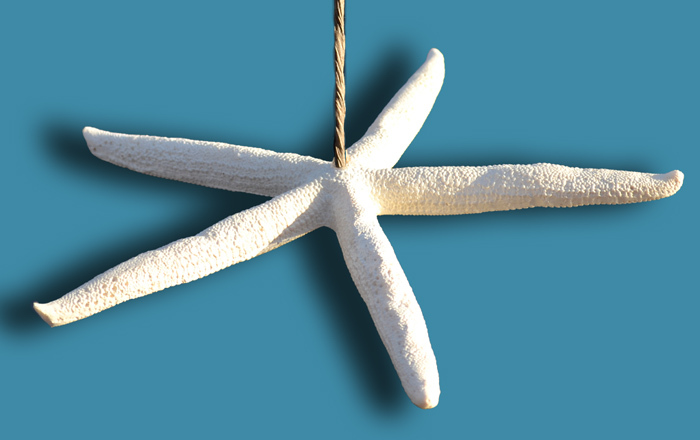 Approximate height of the starfish is 12 inches. As a great gift any painting can be ordered of your favorite scene or vacation spot. Makes a great addition to your beach cottage decor.